WHEN THE WEATHER IS FINE THERE IS NO BETTER PLACE. Relax with a drink in the garden. Our outdoor patio is the perfect place to enjoy a pleasant afternoon. 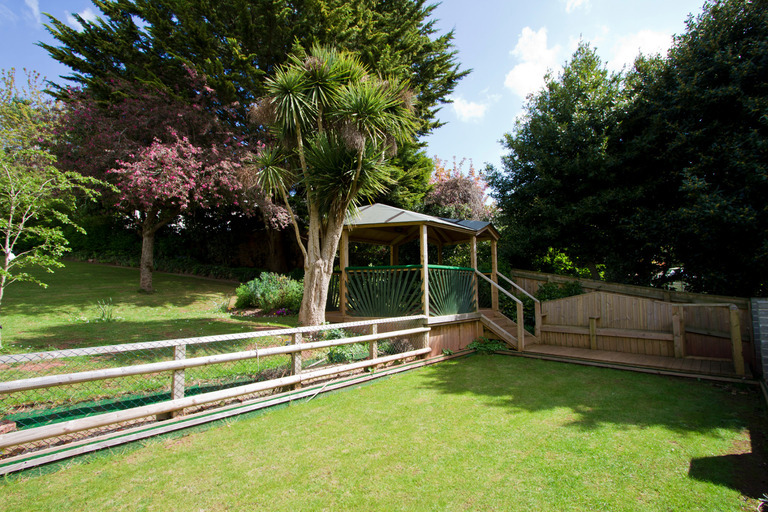 The hotel grounds are large with ample room for children to play safely. 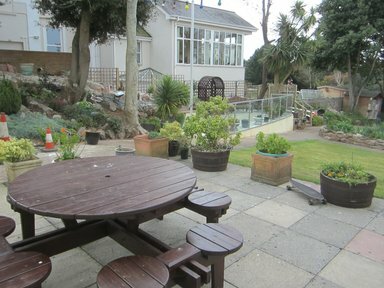 The garden is South facing so remember to bring the sun block! 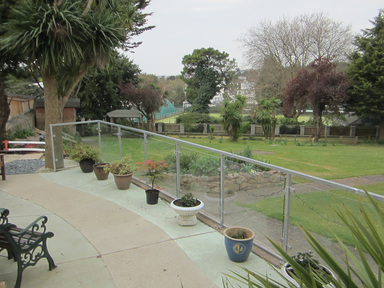 We have access to a private pathway at the bottom of the garden called 'Croft Meadow Walk', this takes you to within 100 metres of Torquays main beach - a nice walk and also ideal shortcut to the seafront. We are only a short walking distance from Torquay Bowls Club, Victoria Bowls Club and Kings Bowls Club opposite the Grand Hotel! 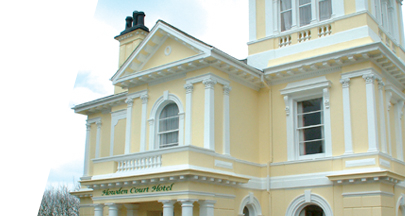 WE ARE ONLY 15 YARDS FROM TORQUAY LAWN TENNIS CLUB. Open to non members.